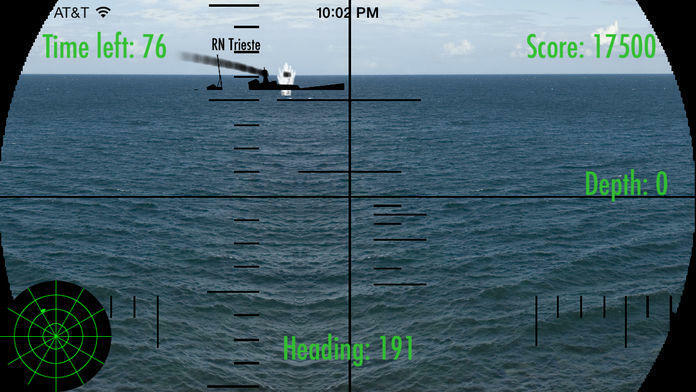 Sink enemy ships with torpedoes in this arcade-style submarine game! 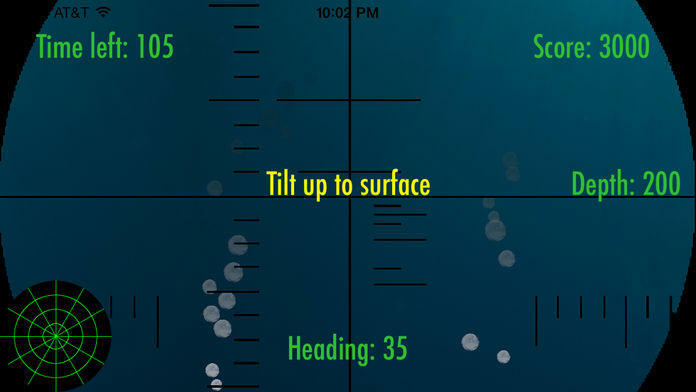 Tilt the phone left or right to scan the seas, or use sonar to spot approaching ships. Tap the screen to shoot. 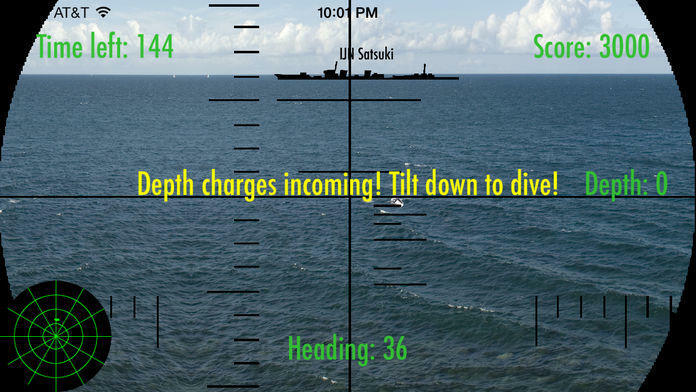 Tilt the phone down to submerge and dodge depth charges. Ship names and silhouettes based on Axis ships from WW2. No ads. No stuff to buy in-game. Just sink as many ships as you can within the time limit. Requires iOS 7.0 or greater. 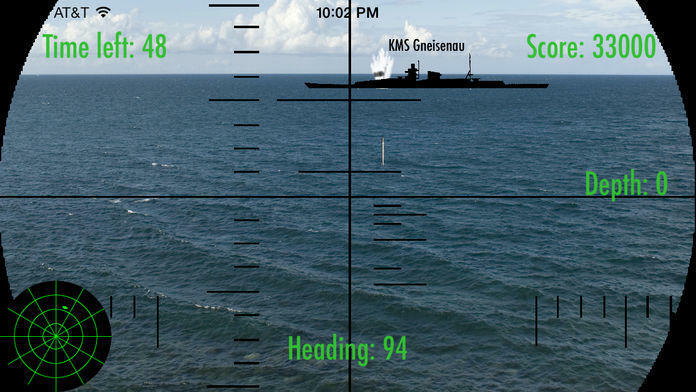 68 new enemy ships of the IJN, Kriegsmarine and Regina Marina to sink. Some adjustments to ship speeds and exposure times for play balance.